There are gaps in the governance of phosphorus (P) across the value chain components (from “mine to fork”), within the monitoring and regulation of these components, and surrounding the role of stakeholders in the process. As a result the intrinsic objectives of a governance system for P are not well formulated and yet to be implemented. Phosphorus is a mineral and is produced and marketed much like other minerals. But since P is also an essential element in our food systems, critical for all forms of life and very dispersed in different products, it requires special attention concerning data collaboration especially regarding rock phosphate (RP) commercial reserves and potential resources. Policy leadership in this area is lacking and the world has no independent source of data or a governance system set up to provide independent monitoring of the knowledge and resource base. The science of P governance benefits from a review of how other minerals have been governed but also by taking a multi-level governance perspective to unpack the complexities. 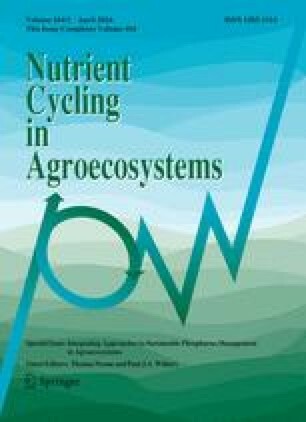 This study reviews key interacting factors affecting the need for governance including common perceptions surrounding P and fertilizers among producers and consumers, the highly skewed distribution of the global resource, the absence of the UN system in monitoring availability and consumption of RP resulting in uncertainty about the size of the commercial reserves, and the inefficiencies in various steps in the phosphate value chain from “mine to fork”. The paper provides an overview of governance opportunities including the realms of mining, agriculture and waste management, the respective parameters worth monitoring and regulating, the stakeholders involved and the associated objectives of the resulting improved governance. It provides some suggestions for policy priorities and a staged process of steps to achieve progress.